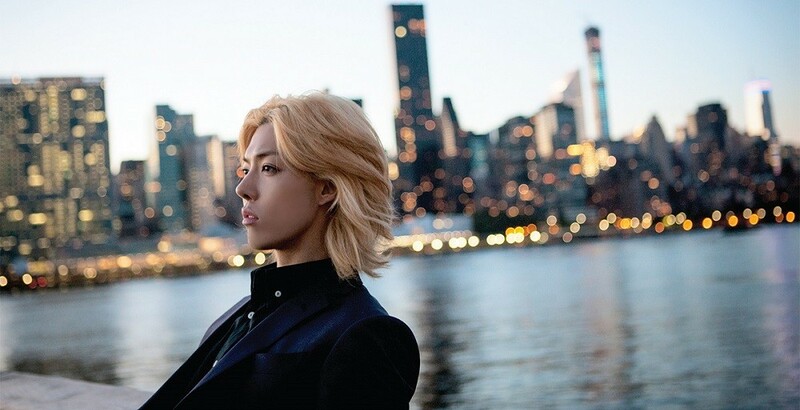 Kangnam opened up about his academic life during his adolescent years. Teen Top's Niel responded by saying that he would love to go back, because he doesn't have that many high school memories due to his debut. Listening to Niel, Kangnam also commented that he would also like to go back. The reason for that was, that he would like to "graduate from a school without being expelled, for once." When the other celebrity casts gave him puzzled looks, he said, "I was expelled five times during high school. In the U.S., I received a grade of F-, the lowest grade that a student had ever received in that school. Instead of studying, I simply asked my teachers a lot of questions. Because of this, I had to go back to Japan and graduate from an American school there." When one of the cast members Lee Soo Geun regretfully said, "Your parents must have suffered a lot," Kangnam simply replied, "I presented this story so we could all laugh about it...but this is the first time that nobody is laughing." Kangnam's last comment eventually made everyone in the studio burst into laughter, switching the mood back to normal again!